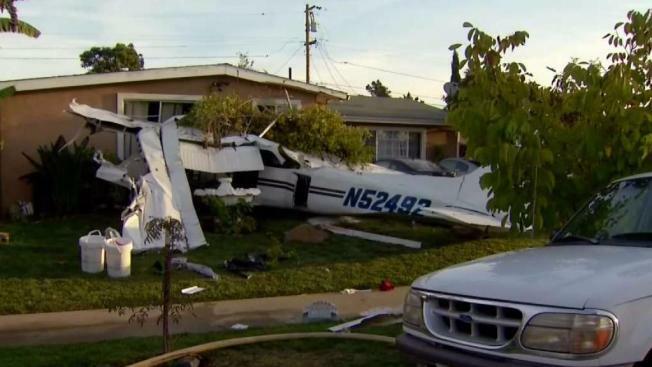 Federal and local investigators on Monday were trying to piece together the events that ended with a small plane crashing into a San Jose home Sunday. The crash sent three people to the hospital, one with major injuries, according to San Jose fire officials. No one on the ground was hurt. Meanwhile, there were also renewed calls for closing the popular Reid-Hillview Airport, where the single-engine Cessna 172 had just departed before it experienced mechanical problems and went down. 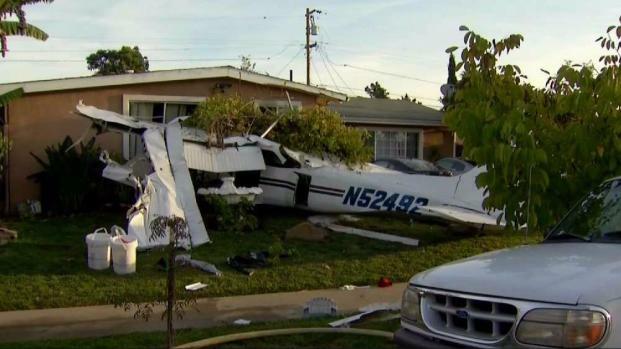 The plane crashed into the Gonzalez family home on Evelyn Avenue at about 3 p.m. Sunday. "It’s pretty crazy," homeowner Juan Gonzalez said. "I cant believe this happened to my house." Gonzalez said his adult children ran out of the house and helped pull the victims out of the airplane. The pilot was a student pilot, but it’s unclear whether that student or the instructor was flying the plane at the time of the crash. Former San Jose councilwoman and county Supervisor Blanca Alvarado told NBC Bay Area she may start rallying the community again to talk about the airport concerns. For decades, Alvarado tried to shut down Reid-Hillview, which was built in 1937 and is owned by Santa Clara County..
One county official, however, said there hasn’t been a neighborhood crash like this in decades. "Very few accidents occur off airport property," county Airports Director Eric Peterson said. "The last one like this was almost 30 years ago today." At the Gonzalez household, a building inspector was onsite, but the family was not sure when they’ll be able to return.